Allows users to specifically like a pair of shoes their friend is wearing in a photo, comment on a pretty backdrop, or draw attention to a previously unnoticed photo bomber . . . revolutionizes social network interface by thickening and making more robust the sentiment conveyed with a single gesture. On any given day, most of us come across hundreds of photos while scrolling through our news feeds on our favorite social media sites. Many of these images are wholly unremarkable, but it's not uncommon for one or more portions of a photo to cause us pause. Up until now our ability to share our thoughts or feedback with the image's owner has been limited to leaving a comment about the image as a whole or, more frequently, just by clicking "like " to justify not saying anything in particular about the picture. There are times when clicking "like" simply is not targeted enough to accurately express the sentiment you'd want to convey. Inventor Nick Carter grew increasingly frustrated by this forced limitation on expression and as a result he came up with the idea for “ReallyLike”. “ReallyLike” is an invention that would allow viewers on equipped social media pages to click on any small portion of an image and either "really like" that specific point in the picture and/or leave a comment specifically about that targeted spot in the photo. “ReallyLike” enables users to specifically like a pair of shoes their friend is wearing in a photo, comment on a pretty backdrop, or draw attention to a previously unnoticed photo bomber. The possibilities are unlimited and would exponentially expand users' ability to quickly and efficiently communicate and express sentiments with their social media cohorts. 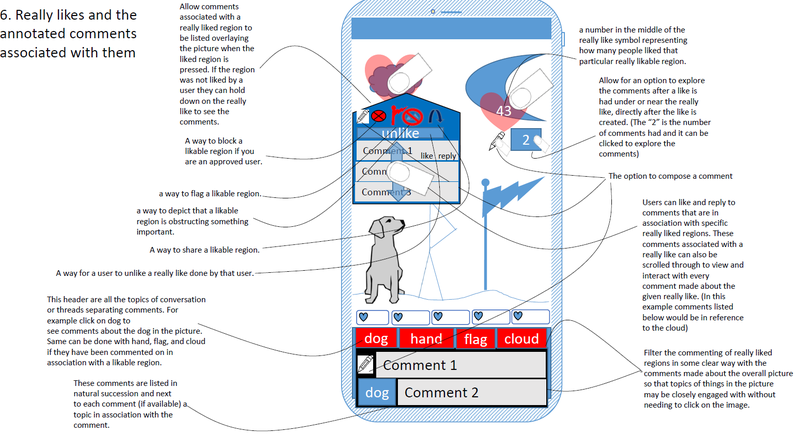 The current “like” function that most social network users are accustomed to conveys little meaning in light of the specificity that “Really Liking” a point in a picture offers, this invention revolutionizes social network interface by thickening and making more robust the sentiment conveyed with a single gesture. Carter is no stranger to technological developments, having already created the ios app Vamp (currently in closed beta which limits a sender’s content awareness of a “selfie” photo or video before sending to a friend, thereby encouraging better raw content), as well as running Twitch Ranks, a site that allows users to continuously rank, see ranking results, and/or participate in world-wide live-streamed tournaments while gaming for titles such as League of Legends. 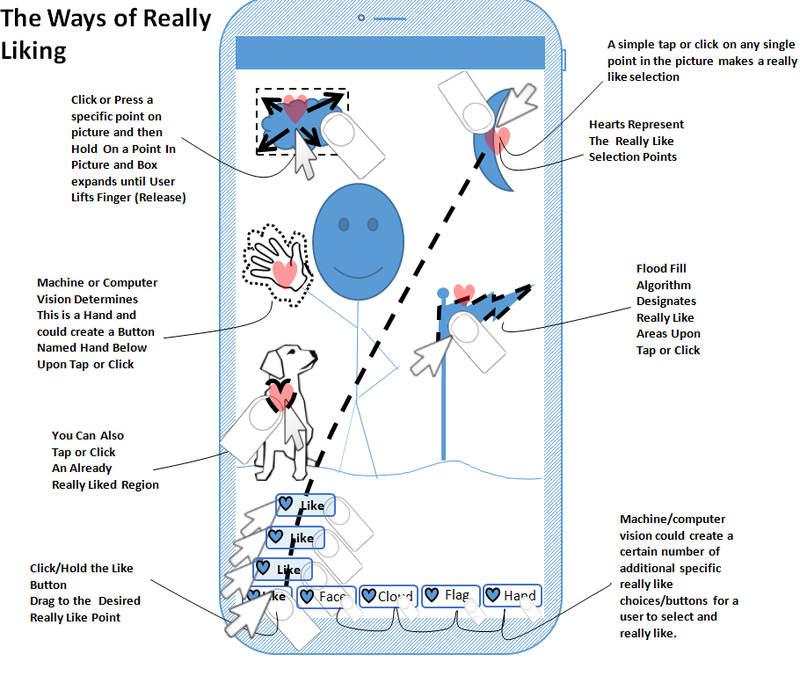 Carter’s “ReallyLike” is currently in patent-pending status through the assistance of Cooley LLP attorney Bill Galliani, who helped pave the way for other huge technological innovations used by Snapchat, Roku and other tech savvy first movers.